I admit to being enamored of the Civil War period and the movie Gone With the Wind is probably the reason why. While most everyone has read the book and seen the movie, the story behind the writer, Margaret Mitchell may not be as well known. The Road ToTara Museum offered a bit of insight into her life and the movie as well. The Road To Tara Museum is located in Jonesboro’s 1867 Historic Train Depot. Here visitors can learn about Margaret Mitchell’s tribute to her ancestral home the real life Tara and the classic 1939 film based on it. Visiting the anitbellum home with her mother, she heard stories from her Civil War veteran relatives that would impact her deeply. The museum exhibits include “Sherman’s necktie” (a section of rail twisted into a loop so as to be useless to a railroad company); and the depot’s original Fairbank Scale, used to weigh cargo, specifically cotton. 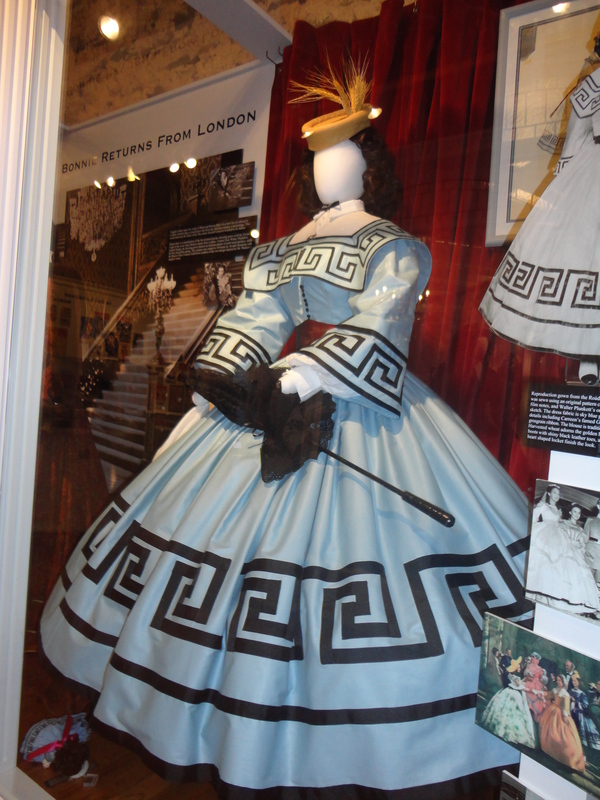 Costumes from the movie to me were one of the biggest draws of this litte museum. Visitors if they choose ca also take a trolley tour although I just enjoyed the fun of the museum and the history about the writer who led a fascinating life in her own right! For more information, log onto the website at http://www.gonewiththewindmuseum.com. Thank you for your comment. I did of course read the novel and enjoyed it. The movie too was a classic I must say. No, I did not see that the film’s Tara still exists but recall the home it was base on. Thank you for the information!